No ceremony without a Master of ceremony! This year, the FABA celebration and dinner will be hosted by ... Clara Bijl. The 4th edition of the FABA will be held on May 25, 2017 at the Fairmont Hotel in San Francisco. The best French and American entrepreneurs, executives and companies based in the San Francisco Bay Area will be honored for their annual results and lasting performance in management and leadership. 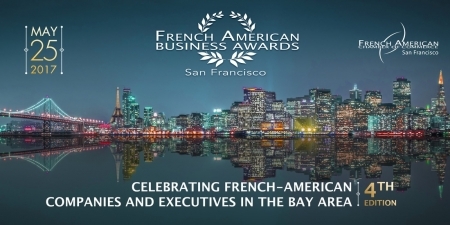 In 2014, the French American Chamber of Commerce of San Francisco (let's say FACCSF) organized the 1st edition of the French American Business Awards in San Francisco. Three years later, the event grew in importance and recognition to become a flagship moment within the French American business community in the Bay Area. 11 categories with a large and promising one dedicated to young start ups. It is widely about tech but not only. ... Le Comptoir, the French bistrot in San rafael, young sibling of Gamine that shows up in our selection of best French restaurants in San Francisco, as well as Café Bastille and Piperade, without even mentioning the so renowned Dominique Crenn whose Petit Crenn on Hayes is also nominated. ... some apps like App Annie, or Wingz that we had followed from the beginning and is now becoming a main ''player'' of the car sharing business. 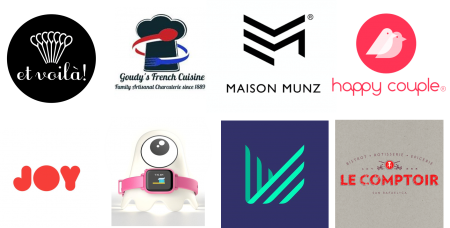 ... a few start ups, JOY and its colorful watches bringing technology and family together, EtVoila! a new catering company founded in 2016 by 2 French yooung women living in San Francisco, Marion Guillaumin and Morgane Noël, Goudy's French Cuisine, already famous for all its gourmet delights and charcuterie, Inmemori that we discovered at Parisoma among the start ups part of The Refiners' second fleet, Maison MUNZ and its SAFE method developed by Alexandre Munz, former principal dancer at the Berlin Opera. We let you discover the nominees in each of the 11 categories and think of what your prize list would be. A jury 120 experts will make the final decision. Awardees will be announced on May 25, 2017 at the celebration/dinner organized at the Fairmont Hotel, in San Francisco. 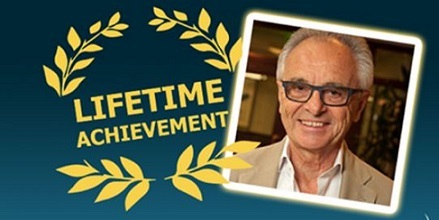 There is one thing we know already though... this is the winner of the Lifetime Achievement Award! Jean Louis Gassée will be honored for his part, actions and achievement, he who represents the historical French touch at Apple. Read More. ... Clara Bijl, who accepted the invitation by the FACCSF to come and lead the event at the pace of awards announcements. Clara Bijl... you most probably learned about her through our different past articles on LostinSF. Her sense of humour, off-the-wall, a bit provocative, handling derision and ridicule with talent is her trademark. ''Doing business, doesn't mean we don't have a sens of humor. Some ''food for thought'' while waiting for this great upcoming event.